Rock salt is not an organism. Unless it is contaminated, it contains no DNA. It has no genes to be modified. But non-GMO rock salt is available. Click here to buy some through Amazon. This entry was posted in Food, Pseudoscience, Shameless Commerce and tagged Amazon by wjjhoge. Bookmark the permalink. I’d really like to see the chemical compound that is this carbon-free sugar. Would that be a form of water, a mix of water, oxygen and hydrogen, or just the two gasses? You know what they mean to say, but it’s not at all what they said. My guess is silicon, roughly chemically analagous. Doesn’t quite have the right ring to it, does it. Much lighter than non-dehydrated water. They missed an opportunity, as it is also gluten free and low-carb. So true! I see the most amazing foods listed as gluten free. I do look because I have a wheat allergy, and really, cottage cheese is gluten free, who would have thunk it? This^^^ They missed Gluten Free. I laugh when I see oatmeal or rice advertised as gluten free. Since gluten is a part of the wheat kernel. It’s actually not that silly. Many celiacs have to avoid oats along with the wheat, rye, and barley because the gluten found in oats is close enough to the one in wheat that it triggers the same reactions. It’s trial and error, some celiacs have no issues with oats, and some once they’ve been diagnosed don’t want to risk it at all. On the other hand, while rice does have gluten, it is not at all similar to the one that causes celiacs problems, So “gluten-free” rice is true for wheat/rye/barley gluten, but not true for gluten generally. The place I got lunch from today had their red beans and rice proudly labeled gluten free. Not a bad idea for a restaurant, or pre-prepared food with multiple ingredients. A lot of things have unidentified “food starch”, and often, but by no means always, that is wheat based. I’ve had wheat show up in stuff you would never put it in if you were cooking at home. Most of the soy sauces on the market in this country have wheat as one of the two main ingredients. It’s good salt, despite the silly labeling. But is it glueten free and humanely raised? Surprised it doesn’t also say “organic” on the label. A perfect example of what becomes of a fool and his money. I suspect that this salt is pink because it contains the shells of brine shrimp, in which case it might contain DNA. The chemical composition of Himalayan salt includes 95 to 96% sodium chloride, contaminated with 2 or 3% polyhalite and small amounts of ten other minerals. The pink color is caused by iron oxide. Well that’s frustrating. Usually “pink salt” means it contains sodium nitrite for curing meat. Iron oxide, eh? Pretty way of saying “contaminated by rust” if you ask me. No. Its not contaminated by rust its iron fortified. 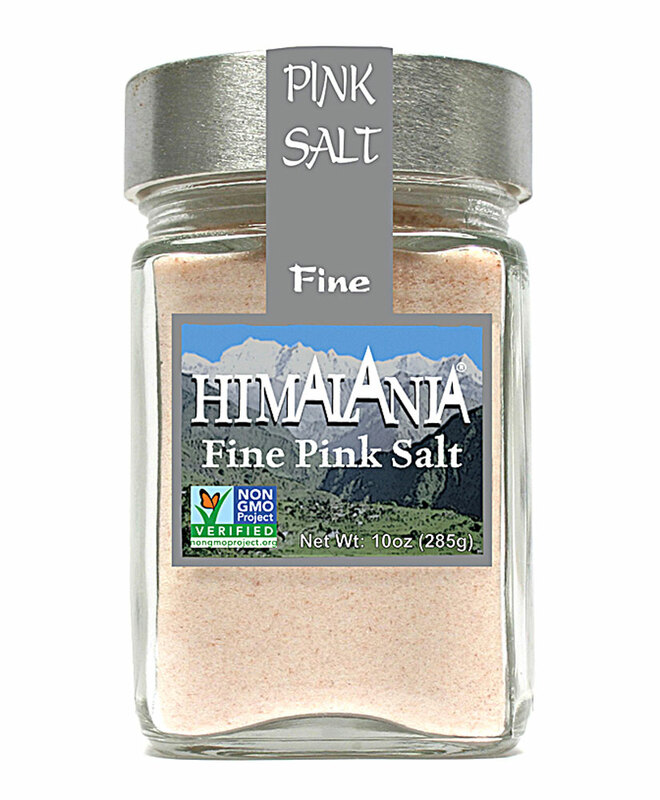 If one were to pour non-GMO Himalania Fine Pink Salt on a convicted perjurer/drug dealer/serial bomber, or anyone who supports him, would it have the same effect as pouring regular table salt on a regular slug? I’d recommend sprinkling a few hundred of these for the scientific purposes of the experiment.